Local rail services are provided by Northern Rail under a franchise agreement with The Department for Transport and SYPTE. The existing franchise is due to be renewed in April 2014 with a number of operators likely to bid for the right to operate trains. 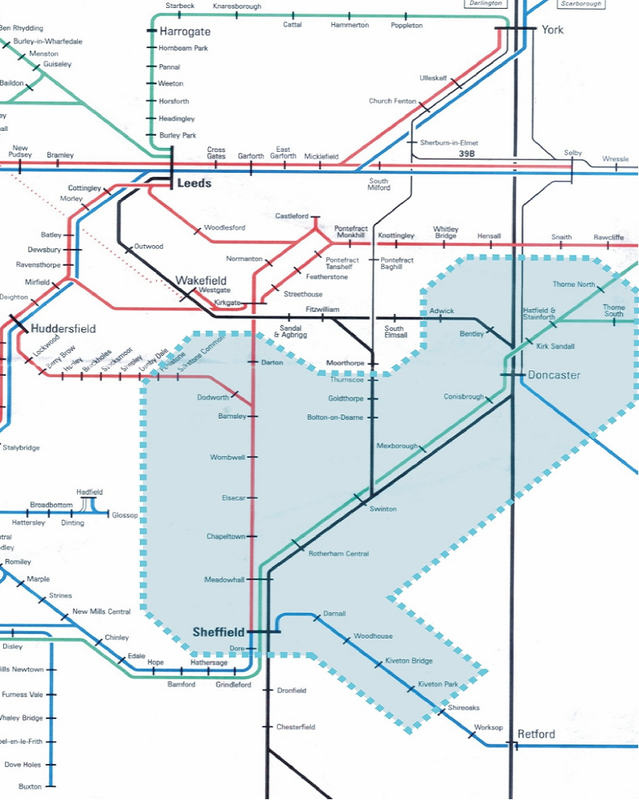 Other rail services; linking South Yorkshire with other communities, are provided by Cross County Trains, East Coast Trains, East Midlands Trains, Grand Central, Hull Trains and Trans Pennine Express. 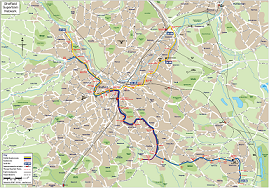 Stagecoach Supertram serves the city of Sheffield with three light rail routes covering 29km (50% of the system is on street running with mixed traffic). The tram network links five park and ride sites with the busy city centre and gives easy access to the rail station, shopping areas, both of Sheffield’s prestigious universities, the Cathedral, sports arenas and many new popular entertainment venues. Bus services are provided by a number of local operators ranging in size from, large operators with international interests (Arriva, First, Stagecoach) to small local businesses -85% of mileage is operated on a commercial (unsubsidised) basis. 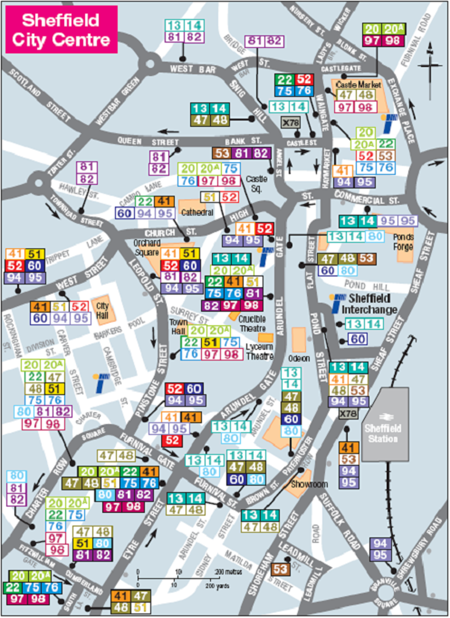 Map of the operators in sheffield, and In South Yorkshire. This map above shows the rail network for South Yorkshire and some of the surrounding areas, the stations and lines SYPTE are responsible for are in the shaded area. Arriva - operates bus services around West Yorkshire, South Yorkshire, East Riding of Yorkshire and the southern areas of North Yorkshire in England. 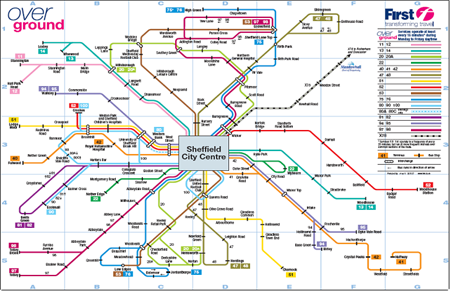 It is a major bus operator around the Leeds Bradford conurbation. Arriva operates throughout Europe . National Express - is the brand under which the majority of long distance bus and coach services in the United Kingdom are marketed, and also the company that manages this network and operates some of the services. Most services are subcontracted to local bus and coach companies throughout the UK, as specified below. The brand and company are based in Birmingham and are owned by the National Express Group, a group of diverse transport interests also including passenger rail operators and local bus operators. Stagecoach in Sheffield - corporate name: Andrews (Sheffield) Ltd - is a bus services operator based in Sheffield, England. It is a subsidiary of the Stagecoach Group. The company was created in early 2006 following the purchase of the Yorkshire Traction group in December 2005, and has progressively expanded in Sheffield with 21 hybrid double decks just added to the fleet . Wilfreda Beehive - a small coach and bus operator based in Adwick-le-Street, Doncaster.